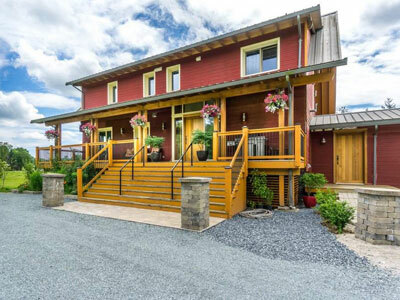 What You Get: Three homes on a 10 acre horse farm in the Campbell Valley. The House: The main home is more than 4,000 sq. ft., with 3 bedrooms and 3 bathrooms. It has clean, modern lines and décor. There are two additional residences for guests, staff or for use as rental income. The Barn: The 28 stall barn has large box stalls and is very well ventilated. There is a 200’x80’ covered outdoor arena, with attached grooming stalls. There is an additional detached workshop.